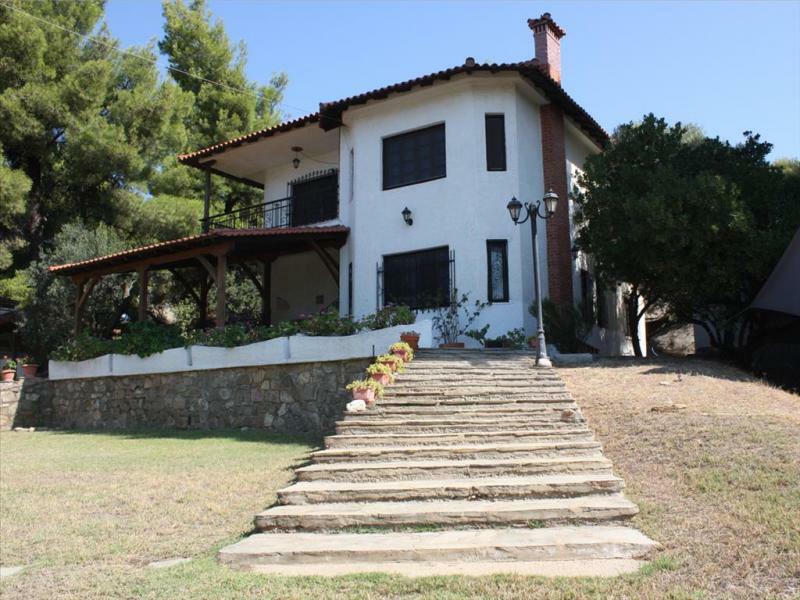 The villa has two levels, a ground floor where the living room with a fireplace, kitchen, one bedroom, a toilet and a storage room is located and a first floor with two bedrooms, a bathroom and a storage area. 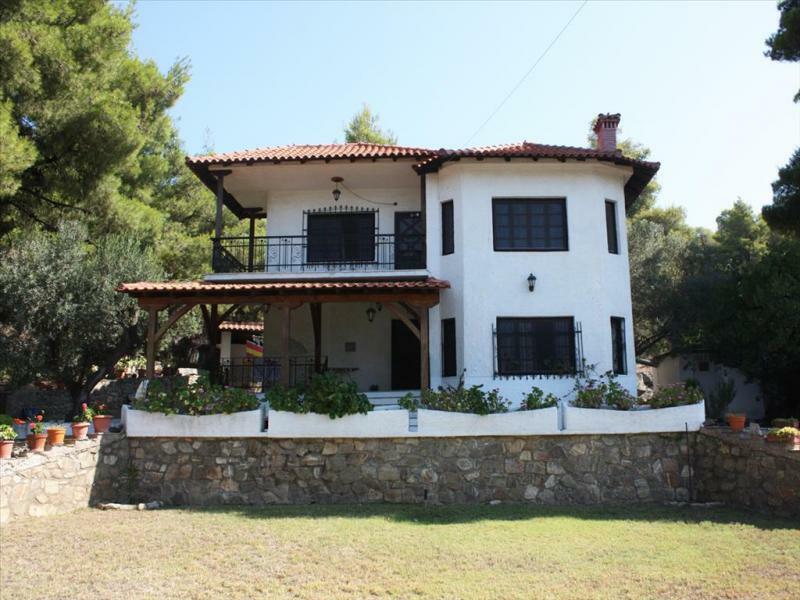 The villa is fully furnished and equipped and it has an independent heating system with heating oil. 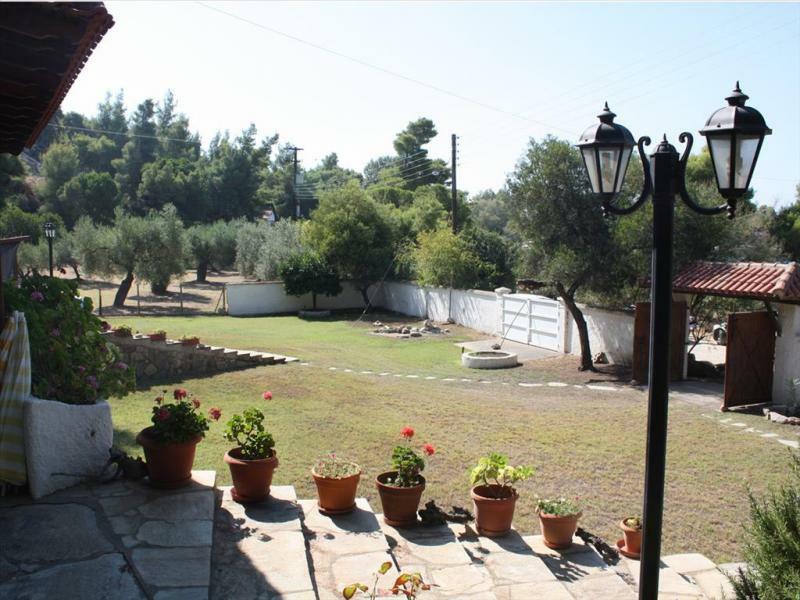 The property has a private garden which is primarily covered with grass and is equipped with an automated watering system. Furthermore, within the garden there are covered parking facilities with a capacity of (3) three parking spaces, a built kiosk with an open kitchen and grill area, a storage area, as well as, a caravan with a capacity of (4) four beds. 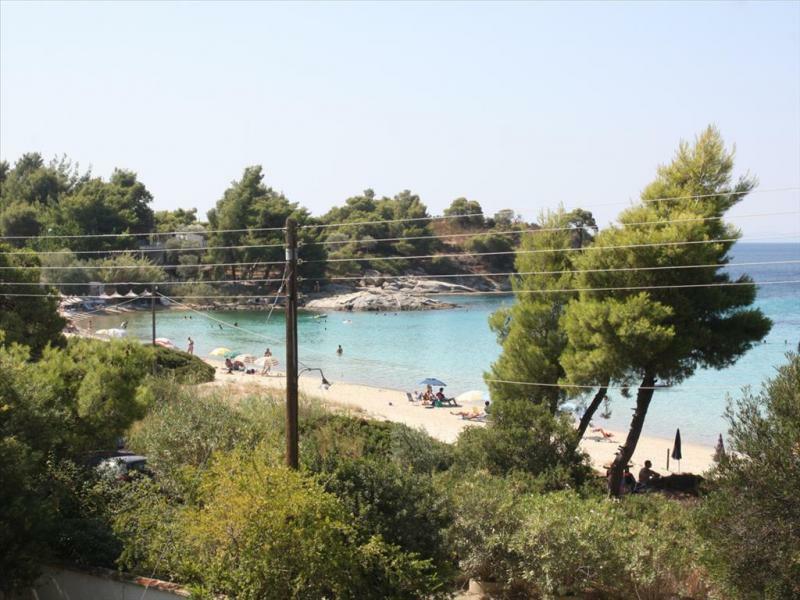 The villa, which is surrounded by pine trees, has direct access to “Akti Kalogrias” beach and it has an excellent and unobstructed view of the beach and the coastline of “Akti Kalogrias”.